In a highly anticipated move, the Reserve Bank of Australia has cut interest rates to its historical low of 2.25 percent. This is the first time that RBA lowered interest rates since August 2013 and the lowest rate, so far, in 25 years. RBA Governor Glenn Stevens said their decision was prompted by several factors. These include the weakening dollar, higher unemployment, forecast of low growth rates for Australia and falling prices of commodities. Treasurer Joe Hockey welcomed the move saying it will be beneficial for both Australian businesses and households and will surely boost business and consumer confidence. He added that with a drop in petrol prices earlier, Australians in total had received a three-quarter of one percent cut in interest rates. With this development, market predictors are foreseeing mortgages to go down thereby benefiting Australian homeowners who are now more conscious about paying off debt rather than splurge. ANZ Bank chief economist Warren Hogan revealed the number of people paying back their mortgages more than the minimum amount required is also at a record level. This was echoed by the Commonwealth Bank. Banks are also expected to pass on the rate cut straight away among all its credit products and not just on home loans. Lenders are foreseen to lower rates on their both their fixed rate and variable rate home loans. 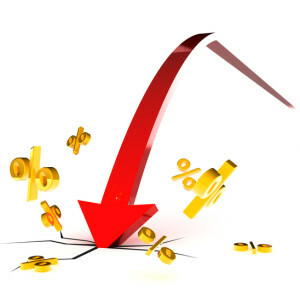 The variable mortgage rate is predicted to drop to 5.7 percent and the discounted variable rates to 4.85 percent. Monthly savings for mortgage holders expected from this rate cut range from $50 to $120. For a loan of $300,000, a mortgage owner will be able to save $50 and $120 for a loan of $800,000. Homeowners, on their part, are relieved over this latest rate cut saying their life is easier now as they are able to pay their debts and enjoy lower petrol and other commodity prices at the same time. Economists, however, warn that another rate cut could result in a housing bubble. This is especially true as house prices were noted to be higher at the start of the year.